This year’s Teddy Bear Weekend will take place on 7th and 8th July. FSW once again invites schools, churches, workplaces and individuals to hold a Teddy Bear event in support of the charity. This could be a Teddy Bear Breakfast, Picnic, Coffee Morning or Afternoon Tea. 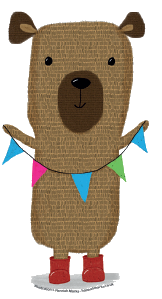 Children could take their Bear to School and adults can take their Bear to Work on Friday 8th July, to raise awareness of FSW’s work with vulnerable families, as well as funds.